Dr. Jeffrey Bottaro joined Thunderbolt Aerosystems as Director of Propulsion Chemistry in 2002, bringing to the company an illustrious background on chemical propulsion, especially in the areas of peroxide promoters and additives for extraordinary Specific Density and Specific Impulse formulations of monopropellants. Dr. Bottaro has had a lifelong fascination with the chemistry of nitrogen, which is a centerpiece of the phenomenology of both drugs and explosives, an experience which began in the early 1980s while working at Stanford Research Institute in Menlo Park, CA. Then, the Office of Naval Research began a search for improved energetic materials for use as explosives and propellants with SRI and a program headed by Dr. Bottaro led to studies on the development of cubane-based explosives, fuels, and oxidizers. 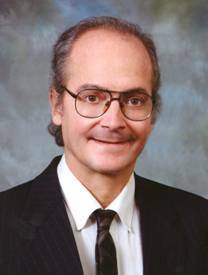 In 1989, while developing an improved route to dinitramines for application on cubanes, Dr. Jeffrey Bottaro conceived of and first synthesized the dinitramide molecule, the parent of ammonium dinitramide or ADN. As a phase transfer catalyst for extracting heavy metals and organic materials from waste streams. Dr. Bottaro and Nino Amarena struck a close friendship when Amarena approached Bottaro about the use of ADN for enhancement of rocket propellants in combination with hydrogen peroxide. His brilliant conceptual and empirical understanding of the inner-workings of energetic molecules allowed the two scientists to develop a series of additives for both peroxide as well as for fuels to be used with peroxide or other oxidizers, which will be the basis of future extended range ThunderPacks and ThunderJets. Dr. Jeffrey Bottaro is Thunderbolt Aerosystems’ Director of Propulsion Chemistry R&D Department.